Real Madrid are looking to sabotage Barcelona's move for long-term target Frenkie de Jong by submitting an offer of their own as they look to strengthen their midfield, according to reports. The Ajax starlet has been impressing fans in Amsterdam ever since his move from the Willem II academy in 2015. De Jong has gone on to make 47 appearances for the club during that time, earning a reputation as a major talent alongside the likes of David Neres, Donny van de Beek and Matthijs de Ligt. 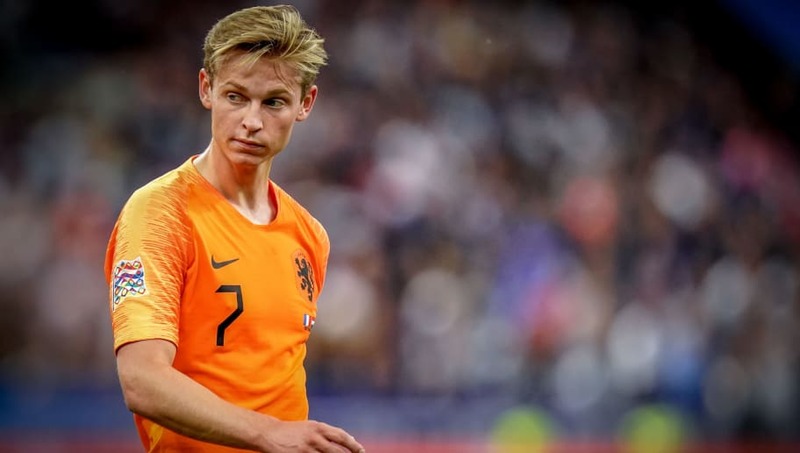 It has been widely speculated for some time that Barcelona would test the waters with a bid for de Jong in the near future, with the Blaugrana's focus firmly on bolstering their ageing midfield even further. Mundo Deportivo report how Real Madrid are now looking to hijack a move for de Jong this season, although Barcelona remain closest to securing his signature. However, the two La Liga giants are not alone in their hopes of landing the Netherlands international. Tottenham were believed to be heavily interested in the midfielder during the summer, while Italian side Inter are also monitoring the player's future in Amsterdam. De Jong was most recently in action in the UEFA Nations League as Holland suffered a 2-1 defeat against World Cup winners France at the Stade de France. ​Kylian Mbappé opened the scoring for Les Bleus early on before Ryan Babel levelled after the break, but Olivier Giroud popped up with the winning goal to become France fifth best goalscorer of all time - overtaking Zinedine Zidane.